Embellishments participated in the Member Day Events sponsored by the Membership Alliance on July 20, 2013. 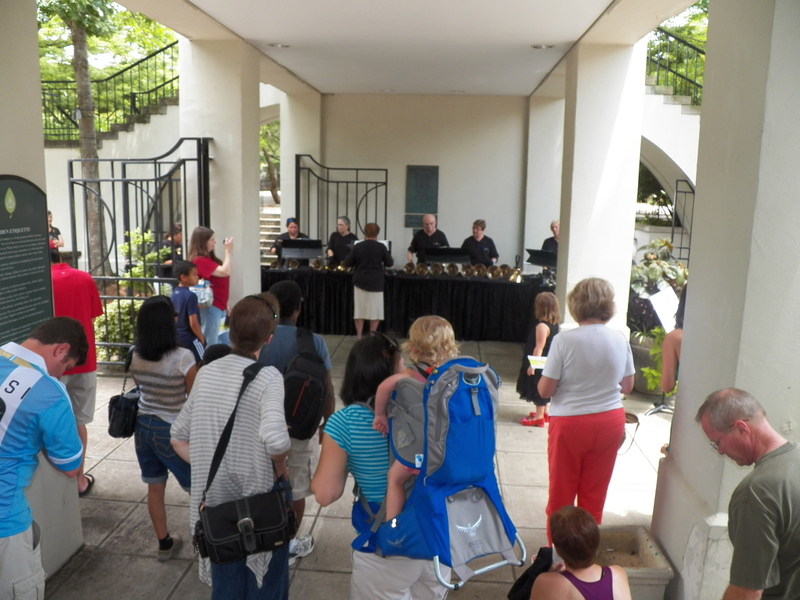 Our participation was playing a mini-concert outside at the Birmingham Botanical Gardens. Music played included Phantom of the Opera, Wizard of Oz, and Don’t Touch That Dial, which used theme songs from various television shows. Audience participation was encouraged. Below is a picture taken at the event during our performance.